:: Star Archive : the book :: What's this ? Dragon's Lair Fans - Arcade Lifestyle > General Chat > Galaxian Theater > :: Star Archive : the book :: What's this ? What's inside this book "Star Archive" ...and what about the other items ? Re: :: Star Archive : the book :: What's this ? This picture seems to be taken from the same location than the first picture. Where it is ? Who is on the picture ? Where did you get these PICs. 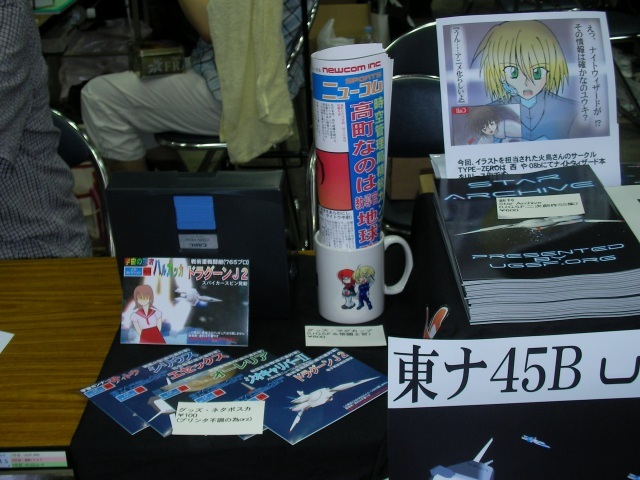 2nd pic : at Comic Market 73. 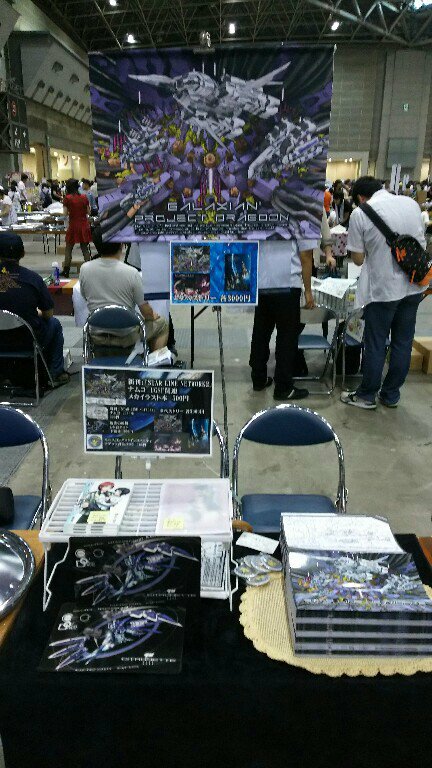 (This is an exhibition thing of another Circle. ) ......By the way, I was sitting on three right side chair from him. I hear that they are sold all, not schedule the reproduction. The same ones are never made when making these once. (1) What is "Doujin?" It is time-consuming that I explain in this place. Therefore, please investigate by yourself. 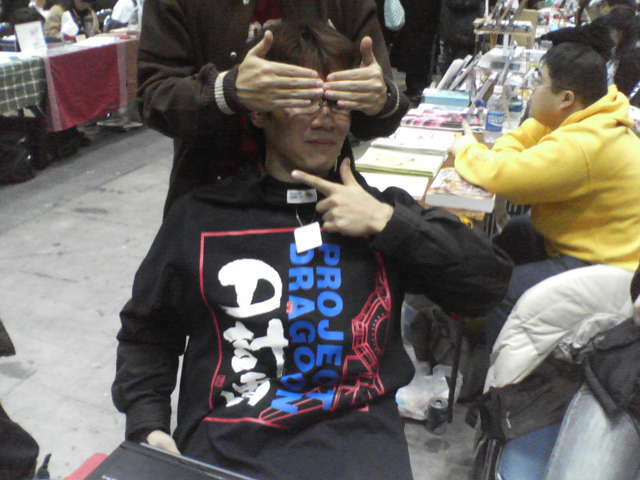 What means the Japanese symbol on his sweat-shirt, near the "Project Dragoon" inscription by the way ? Looks like an UGSF convention?... wow.. all these goodies!